As I guess you can see, this isn't a new poster. Given the age of the wpmc.co.za web domain, probably between 1 and 11 years - and I'd have to guess closer to the latter. 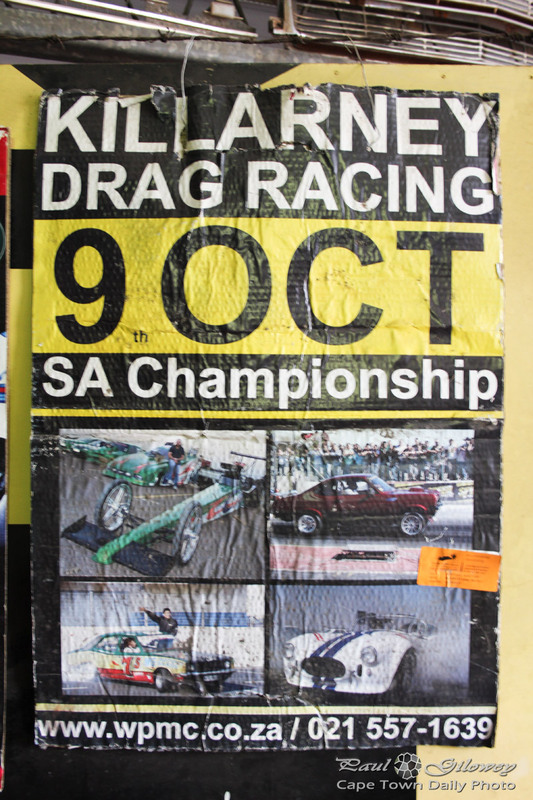 The Killarney Motor Racing Complex (map) opened it's doors, or rather, circuit, in the late 1940s. Since then it's hosted various motor racing events, from drag to stock car and supermoto races - even the odd Formula 1 race! Visit the Western Province Motor Club's website for more information about racing events, or for how to get involved in motorsport. Posted in General on Saturday, 2 June, 2012 by Paul.